The heavy tax burden on medical marijuana dispensaries is felt nationwide, and business owners legally distributing marijuana for medical or recreational use need to be meticulous with tax preparation in order to avoid tax evasion and other crimes. When it comes to marijuana tax crimes, some may be committed unintentionally due to the large restrictions and confusing laws governing the sale of marijuana. Being subpoenaed is never fun; however, it is a startling reality for marijuana dispensaries across the country, regardless of whether or not marijuana sales are legal. Here are some tips you can use to reduce the likelihood of the IRS auditing and investigating you and your marijuana business, and stay out of prison. Marijuana has been legalized as a controlled medical and recreational substance in many states due to its potential to provide natural and sustained pain relief. California was one of the first states to legalize marijuana in 1996, yet the lack of regulations in this state has made it difficult to manage the system. 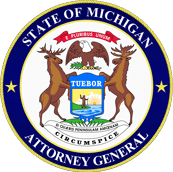 Michigan legalized the medical therapeutic use of marijuana in 2008; however, patients in the state have the possibility of facing criminal charges because of the way the law is worded. This makes it somewhat challenging for patients to legally use marijuana – and for businesses to grow and sell it. The fact that state legislators continually try to get marijuana dispensaries outlawed doesn’t help the situation. Fortunately, there are initiatives under way that may reduce the likelihood of dispensaries being prosecuted. Running a profitable and successful medical marijuana business is no easy task, especially when it comes to reporting earnings to the IRS. Despite the fact that many states have legalized medical (including Michigan), and in some cases even recreational marijuana, it’s still not recognized as a legal substance on the federal level. Essentially, reporting your income from marijuana sales to the IRS is admitting to felony drug trafficking. Medical marijuana tax crimes are often committed unintentionally due to neglect or ignorance on the part of the business owner. Failure to report the complete truth on tax forms or not reporting income at all can be considered tax evasion and is punishable by law. (Remember Al Capone?) While this isn’t entirely common, it’s certainly easy to do when a business is selling a substance with conflicting and confusing rules and regulations. And if your marijuana business is audited, you often receive a large tax bill and may even face criminal charges related to perjury and drug trafficking. This is why many marijuana businesses and dispensaries should rely on the advice of tax lawyers with experience in the marijuana industry. Reporting taxes on a marijuana dispensary business shouldn’t be taken lightly. While section 280E of the tax code prohibits these businesses from making normal business deductions, it shouldn’t sway a marijuana business from reporting their income at all. Working with a professional tax attorney experienced in the area of medical marijuana is essential for avoiding potentially committing tax crimes. In order to understand how to manage the taxes of your medical marijuana business and how to prevent medical marijuana tax crimes in the future, contact Ayar Law today.